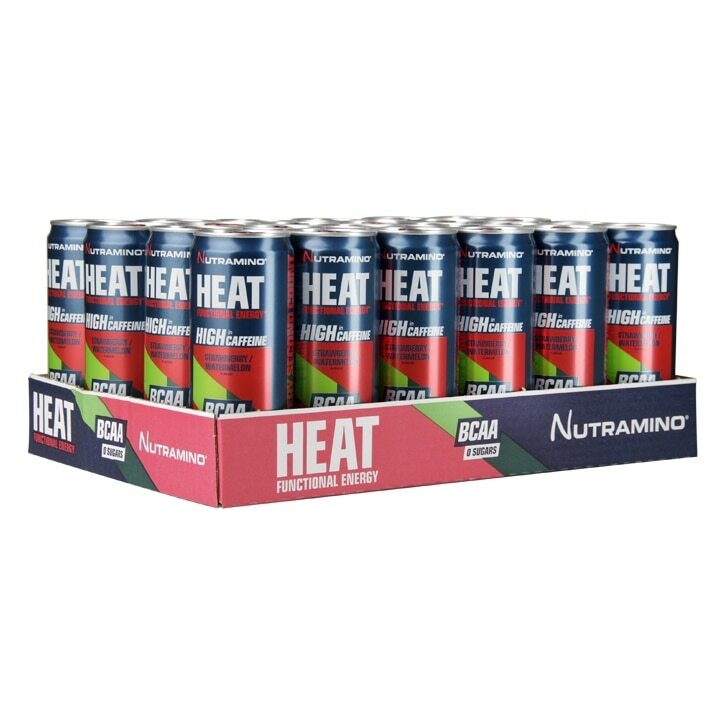 Nutramino HEAT BCAA Drink Strawberry & Watermelon is rated 4.3 out of 5 by 8. Rated 5 out of 5 by Mrs Peto from Delicious and refreshing with a caffeine kick This drink really does give a boost when you most need it. I don’t like tea or coffee so this is a delicious alternative when others would reach for the kettle if they are flagging. Added bonus of vitamins too. Tastes better from the fridge. Costly but I stock up when they are on offer. The other varieties of flavour in this range are also worth a try. Disappointing that the orange is discontinued but apart from flavour they all have the same effect of waking me up and giving he more focus which is the main reason for purchase anyway. Rated 4 out of 5 by Lizzapink from Delicious!! I bought this on offer and really loved it! Not sure I would buy again unless on offer! Rated 3 out of 5 by Anonymous from Great ingredients, not so good taste Great ingredients and quality inside. Design is great on the can, however taste isn’t so good and tastes rather bland and almost metallic. Rated 5 out of 5 by atcz from Perfect I was a bit sceptical at 1st but it works . I take one before my HIIT sessions. Amazing stuff, lasts me the entire 1 hr session. Love it.